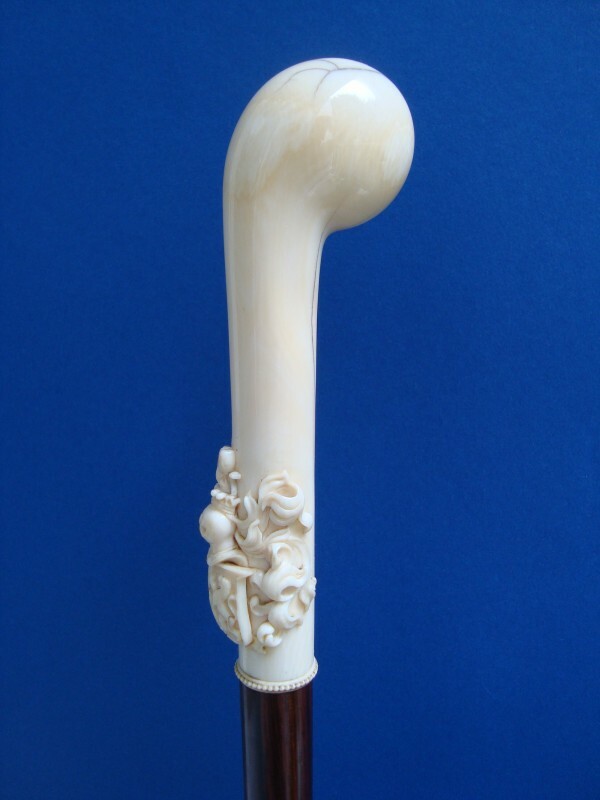 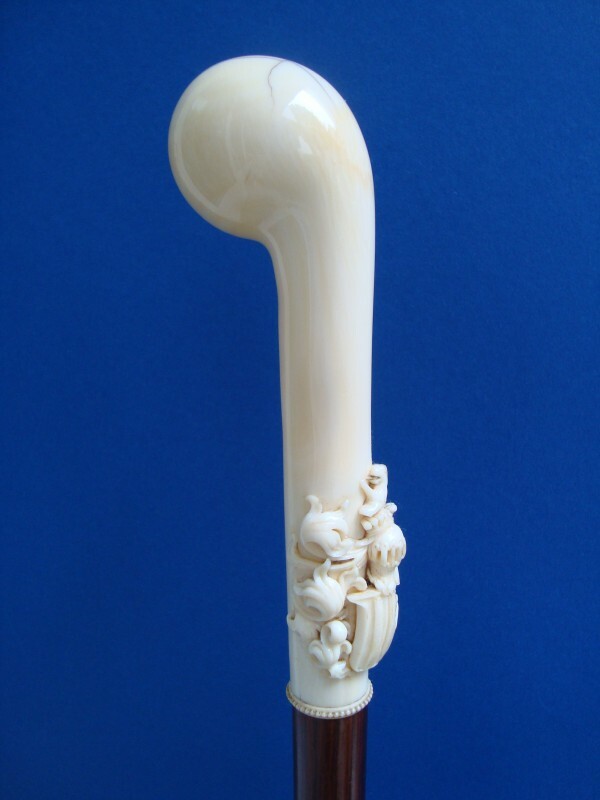 Walking cane 1840-60 with an ivory pistol grip. 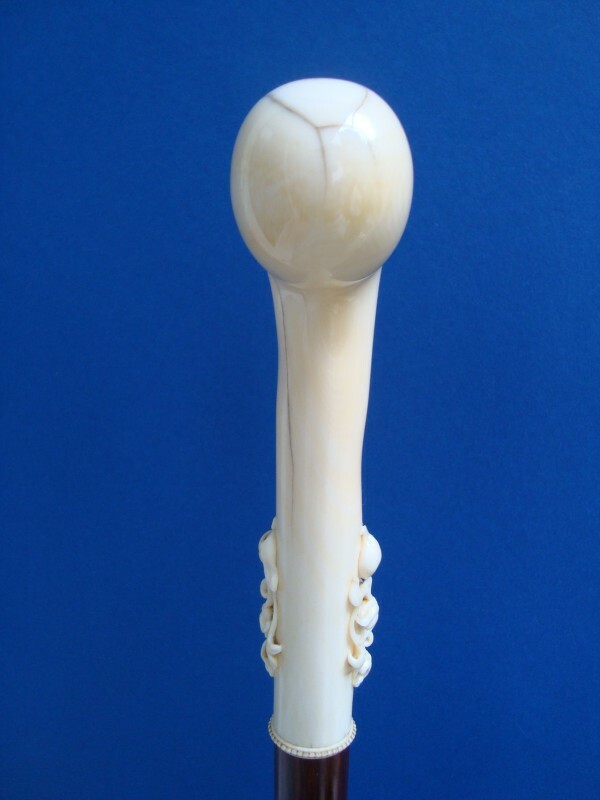 On the front side a coat of arms with a lion standing up. 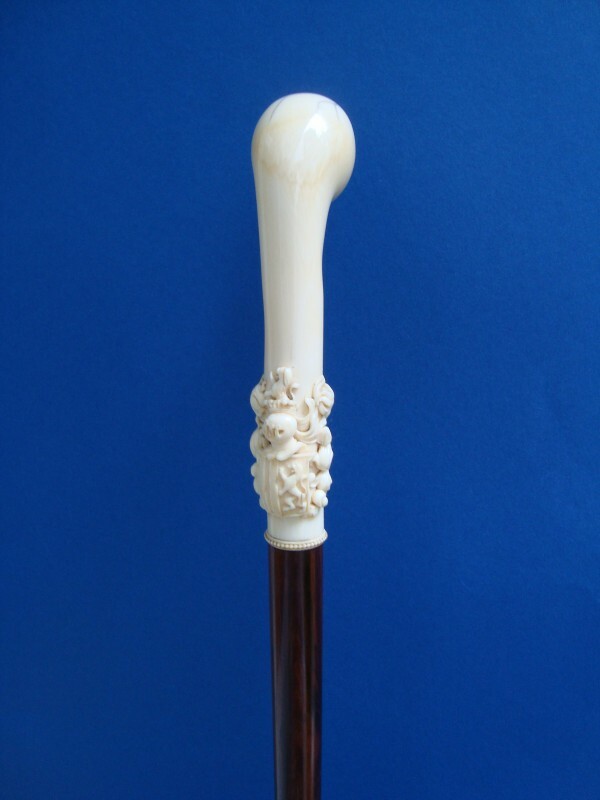 The grip ends with a pearl border and is fitted on a rosewood shaft with a long ivory ferrule. 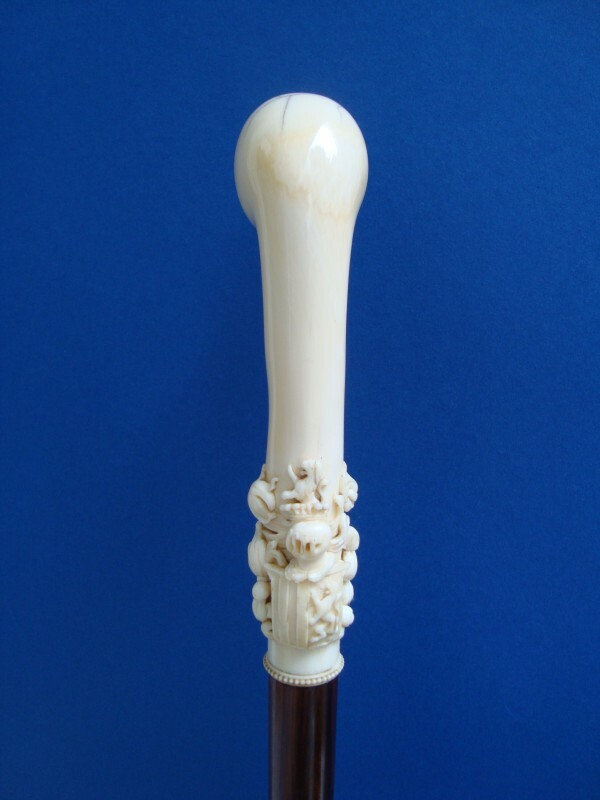 Measures: Length of the grip 16 cm, 6,3”, overall length 95 cm,37,4”.